We introduce a weighted method of clustering the individual units of a segmented image. 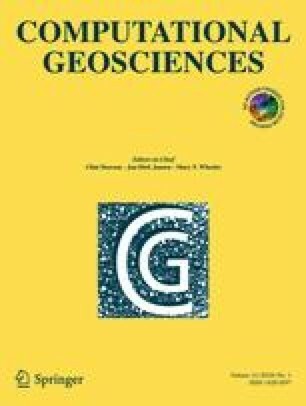 Specifically, we analyze geologic maps generated from experts’ analysis of remote sensing images and provide geologists with a powerful method to numerically test the consistency of a mapping with the entire multidimensional dataset of that region. Our weighted model-based clustering method (WMBC) employs a weighted likelihood and assigns fixed weights to each unit corresponding to the number of pixels located within the unit. WMBC characterizes each unit by the means and standard deviations of the pixels within that unit and uses the expectation-maximization algorithm with a weighted likelihood function to cluster the units. With both simulated and real data sets, we show that WMBC is more accurate than standard model-based clustering. Specifically, we analyze Magellan data from a large, geologically complex region of Venus to validate the mapping efforts of planetary geologists.